Film distributors claim that over the last year there has been a dramatic rise in the number of people buying films and documentaries about the Holocaust. 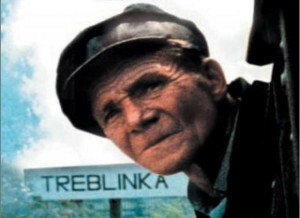 Many would agree that the best documentary on the Holocaust is Shoah, directed by Claude Lanzmann. Running at over 10 hours long, this cinematic masterpiece has often been neglected. However the recent showing of the documentary on TV and its release in a cheap DVD format means that a lot more people are discovering it. Shoah was not Lanzmann’s only documentary on the Holocaust. To my knowledge he made four other films and all are worth watching. How can Jews be being mistreated when they produce such beautiful music? This documentary is based on an interview conducted by Lanzmann with Maurice Rossel during the filming of Shoah. Rossel was a member of the Berlin delegation for the International Committee of the Red Cross. He was the only member of the organisation to have visited Auschwitz in 1943, and to have also paid a trip to the “model camp” of Theresienstadt in June 1944. Lanzmann gives Rossel the space and time to discuss the horror he witnessed and, although Rossel suspected the reality was far more complex and deadly, he freely admits that he signed a report approving the facility and says he would do so again. Even more chilling is his account of his visit to Auschwitz. He wasn’t allowed to see the crematoria but did see Jews whose haunted gazes seemed to regard him as “un vivant qui passe” – a visitor from the living. Not to be confused with the film Sobibor, Sobibor, October 14, 1943, 4pm recounts the story of Yehuda Lerner: his arrest, internment, escape and re-capture eight times over, his transportation to the Sobibór death camp in Eastern Poland and his role in the prisoner uprising that took place there. Lanzmann refutes two cliches: that the Jews had no inkling of what awaited them in the gas chambers, and that they went to their deaths without resistance. This is Lanzmann’s 39-minute film on Jan Karski, the Polish resistance courier and fighter who is also featured in the final section of Shoah. Karski recounts the testimonial he gave to the US government and the horrors he witnessed during a trip to the Warsaw Ghetto and to the extermination camp Belzec. Claude Lanzmann filmed a series of interviews with Benjamin Murmelstein, the last President of the Jewish Council in Theresienstadt. Murmelstein was the only member of the council not to have been killed during the war. This film provides an unprecedented insight into the genesis of the Final Solution.